We realize there are skeptics. Do-it-yourself experts think putting in a few sprinklers heads, a timer and a water connection is easy. However, they soon wish they had some support when parts break or malfunction and their yards are flooded. 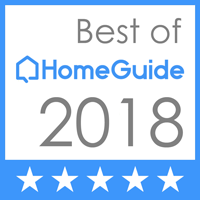 Save yourself the hassle with the lawn irrigation system Champaign IL homeowners make their top choice. Of course, the resounding, best choice is Commercial Irrigation & Turf. In order to put our 30 years of experience to work for you, call us today at 217-398-1494 or contact us online to request more information. Should I Invest in a Lawn Irrigation System? Even Distribution – First and foremost, homeowners want all of their green spaces to remain healthy. If certain spots suffer from constant dry conditions, it will affect the whole yard. On the other hand, overwatering caused by sprinkler heads that are the wrong design or poorly positioned can have equally-damaging effects. Commercial Irrigation & Turf designs will provide you with a lawn irrigation system layout that is created just for your yard. Cost Savings – Secondly, a Commercial Irrigation & Turf lawn irrigation system Champaign IL residents prefer conserves resources. 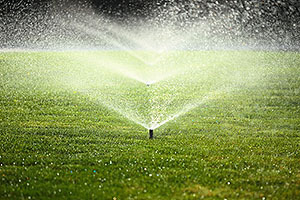 We can create solutions with drip irrigation or other smart technology to save you water and money on your water bill. Knowledge – Frequently, homeowners either oversaturate or under water lawns. Over time, that damage accumulates in your yard, costing you time, money and effort on supplies for your yard and irrigation. Therefore, it makes sense to consult experts with 30 years of experience in making, installing and repairing residential and commercial irrigation for clients. As a result, you will have a partner you can trust if anything goes wrong with your lawn irrigation system. Throughout the last three decades, Commercial Irrigation has delivered value to clients. 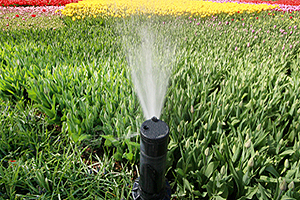 We provide garden watering systems, irrigation and sprinklers for both residential and commercial customers. For that reason, we are the irrigation contractors you can trust with your lawn.